Pure Hemp unbleached uses no chlorine or dyes to make their papers. 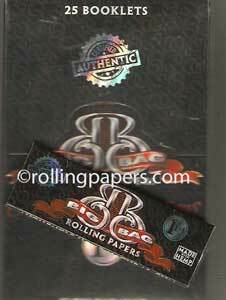 Pure Hemp King is a 1 1/2 gummed paper. 50 booklets with 33 unbleached hemp paper leaves in each box.